An effortless and casual look. These high rise jeans will certainly become your new favourites. 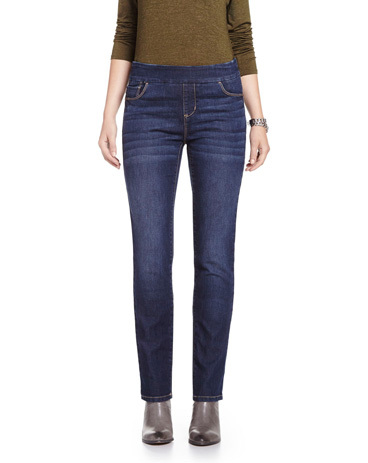 Featuring a straight leg and 5 pockets, these jeans are an ideal fit to be comfortable in all simplicity. Frayed hem and distressed look add a trendy touch. Front rise: 11 1/8" ; inseam: 29" ; leg opening: 6 1/2"
These are good fitting jeans that look fashionable and in style. Great colour for spring and summer.